High pile polyacrylic and cotton bath rugs. Pile height from .91 to 1.46 inches (23 to 37 mm). 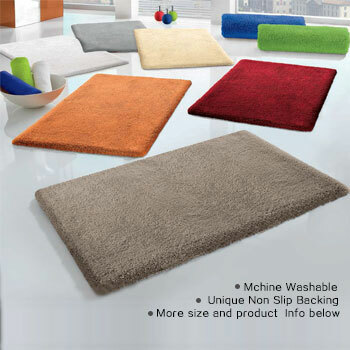 Luxury bath rugs that are plush, easy to care for and great quality high pile bath rugs. Perfect for any bathroom. All our rugs are designed and produced (individually tufted by hand) in Germany. You can view color options and styles for these bath rugs by selecting any of the designs below.